Well, I have been tagged by Rahul Miglani. 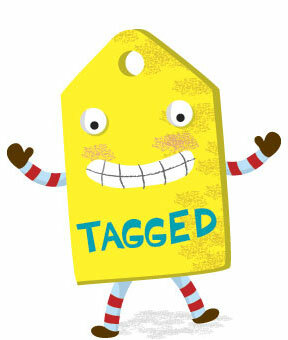 This is an interesting tagged post, where you get to know more about your blogger friends. Life is a drama… We are the renowned actors… And we act as per the script of the ultimate super power. 2. Whats love for you. Love is the emotion that draws all other emotions. It allows mesmerizing and at times heart crunching pictures to be created in the canvas called life. 3. Whats desire for you. Desire is how we wish to see our self. We may or may not get what we desire. 4. Whats destiny for you. Irrespective of what we desire for, we will get only what is destined. If we are someone and doing something that is because of destiny. 5. Whats the craziest thing you have done so far. After all… it means crazy mind!! 6. Whats your favorite quote in life. 7. What motivates you in life? 8. Any regrets in life. 10. Where do you see yourself after 1 year and after 5 years? 4. What is unpardonable according to you? 6. What is the craziest thing you have done? 7. What your favorite movie? 8. What is beauty according to you? 10. What do you love about yourself? 11. What is your wildest and weirdest desire? wow , i just loved the answers !!! good going girl ! !